Trippen Helix F Closed Boots. 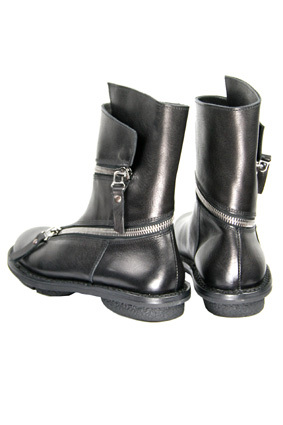 With a metal zip running round the ankle from the front of the foot section of the boot, through to above the ankle. Totally awesome boots! Sizes 4=37 small, 5=38 medium, 6=39 large, 7=40 x-large.